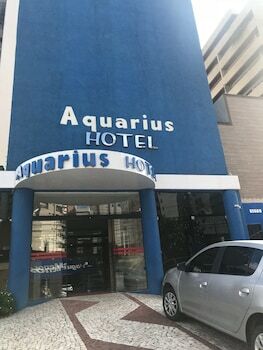 When you a stay at Hotel Aquarius in Fortaleza, you'll be by the sea, within a 5-minute walk of Monsignor Tabosa Avenue and Iracema Beach. Featured amenities include dry cleaning/laundry services, a 24-hour front desk, and luggage storage. Free self parking is available onsite. When you a stay at Pousada Ilha da Saudade in Morro de Sao Paulo, you'll be on the beach, just steps from First Beach and Second Beach. The front desk is staffed during limited hours. With a stay at Recanto do Cabo in Arraial do Cabo, you'll be within a 5-minute walk of Independence Square and Grande Beach. The front desk is staffed during limited hours. When you stay at Pousada Baía Blanca in Buzios, you'll be near the airport and steps from Rasa Beach. Free self parking is available onsite.